Jan Wessels is the Faith2Share International Director. He studied Theology in Apeldoorn NL (BTh) and in Potchefstroom RSA (MTh in New Testament). He and his wife Beppie have 4 children and started pastoring in a small Christian Reformed congregation in the late 1980s, but were sent out by their Church in the beginning of the 1990s to Botswana to assist the Reformed Churches in Botswana with their mission work among the San or Bushmen in the Ghanzi District. 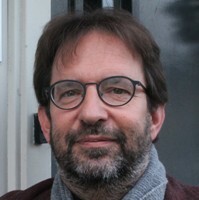 In 2010 they returned to the Netherlands where Jan joined the Evangelical Alliance as General Secretary. Still a Missions Pastor for the Christian Reformed Church in Veenendaal, he has a passion for the Church and for Mission, for networking and collaboration, but above all for God and His Kingdom to come. 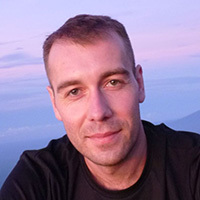 Anton is the Associate International Director of Faith2Share. He was born and raised in Russia during the Communist times but now he lives and works in Oxford, UK serving as Associate International Director of the Faith2Share network enabling African, Asian and Latin American Christians to serve in mission alongside Christians from the Global North. The expanding Faith2Share network has 30+ agencies who together support over 5,000 mission workers globally. Coming from the Russian Orthodox tradition, Anton has a passion for emerging mission movements and promoting dialogue and collaboration between different Christian traditions. In his spare time Anton enjoys providing hospitality to friends from all over the world and learning new languages. Nicki is the Office Administrator of Faith2Share. She has been volunteering with Faith2Share since the summer of 2012. 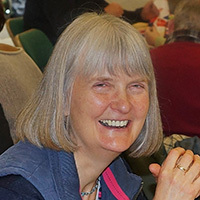 Prior to coming to Oxford she was church administrator for a large church in North London. 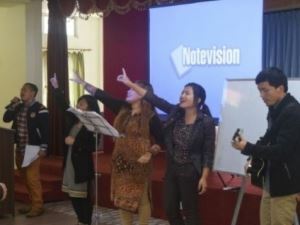 She has always had an interest in world mission as well as being involved in local mission groups. Timothy is the Africa Coordinator of Faith2Share. Originally from Rwanda, Timothy works in Nairobi, Kenya. 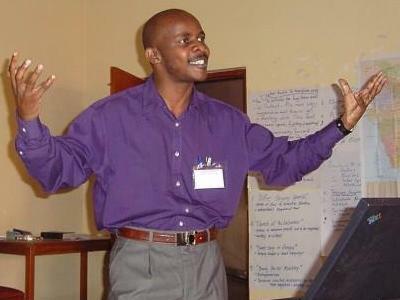 He joined Church Army Africa in 1997, doing a higher diploma in theology, which later led to a degree in Biblical and Intercultural Studies from All Nations Christian College (ANCC) in the UK. Since 2002 he served with FOCUS, a university and college student ministry, before moving to serve with Church Army Africa and has been working with Faith2Share since 2014. Timothy received an MA in Missions from ANCC in 2015 (specialising in global civilisation). 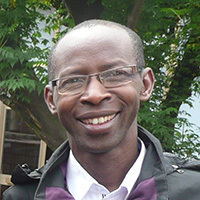 Timothy lives in Nairobi with his wife Rachel. They have four children and one adopted child who had been an orphan. Vijay is the Asia Coordinator of Faith2Share. After his graduation in theology he joined the Friends Missionary Prayer Band (FMPB) as a missionary in 1991. He is an ordained minister in the Church of North India and currently serves in the corporate office of FMPB as Head of Administration. He is seconded to Faith2Share by FMPB for one day a week. 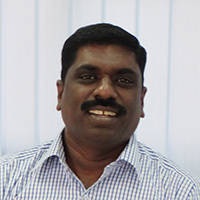 “The role gives me the opportunity to collaborate with mission partners, understand emerging missions and promote the need of discipleship.” Vijay lives in Chennai with his wife, Selvi, and their daughter Lemuela Saatchi.